Fast and Elegant? Acer now also has a DDR3 netbook with an Intel Atom N455 in form of the Aspire One 533. Does the pretty wrapping only cover the already known? 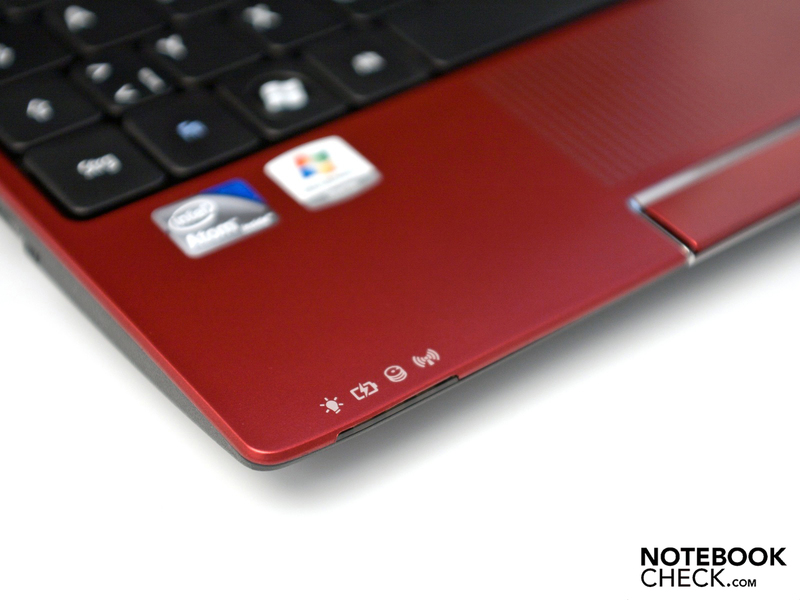 The specs promise an average netbook with a nice design and good ergonomics. 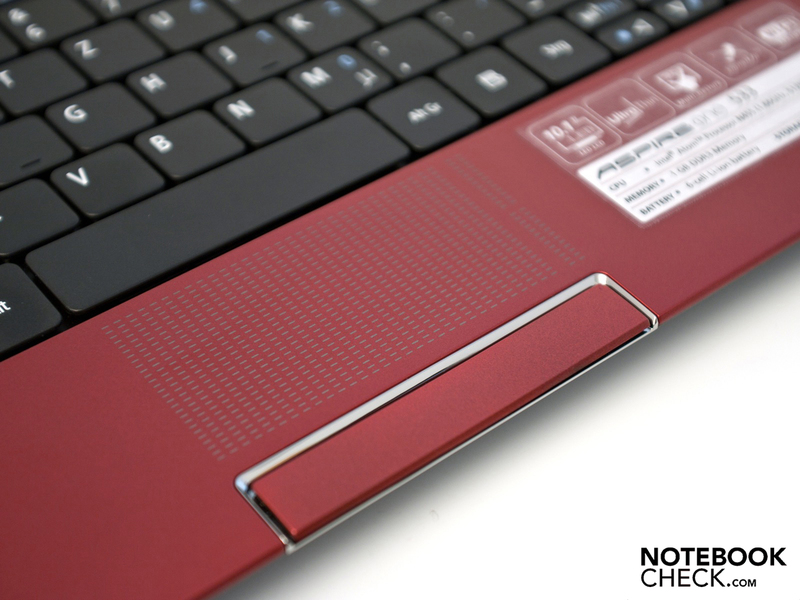 We're testing the new Acer Aspire One 533 netbook with the Intel Atom N455. There are a dime a dozen netbooks in the price range of 300 to 350 euro. 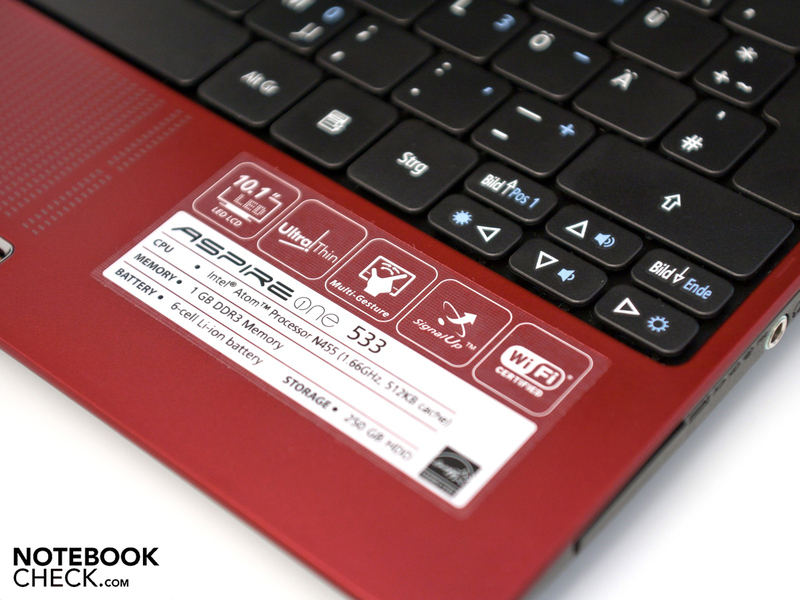 With the Aspire One 533, Acer now offers a new model that now supports the DDR3 RAM due to the new Intel processor. 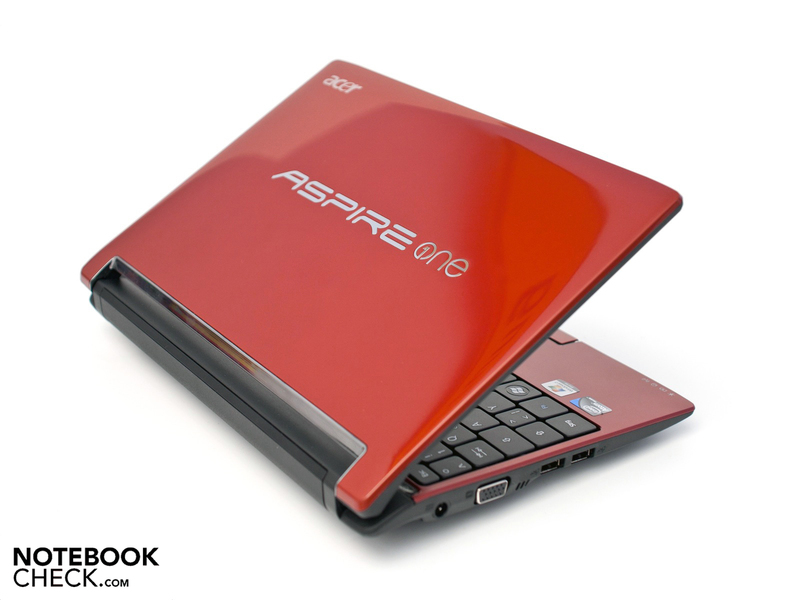 The little 10 inch netbook doesn't represent the immediate successor of the Aspire One 532h, as you might think. The netbook is based on a new design, new hardware and other options. For example, WLAN 802.11n and Bluetooth 3.0 +HS are onboard as standard. The implemented FineTip keyboard and big touchpad promise good ergonomics, but the specifications indicate an only average performance. Aside from the Intel Atom N455, you'll find an integrated Intel GMA 3150 graphic unit, a 1 GB DDR3 RAM and a 250 GB sized hard disk. 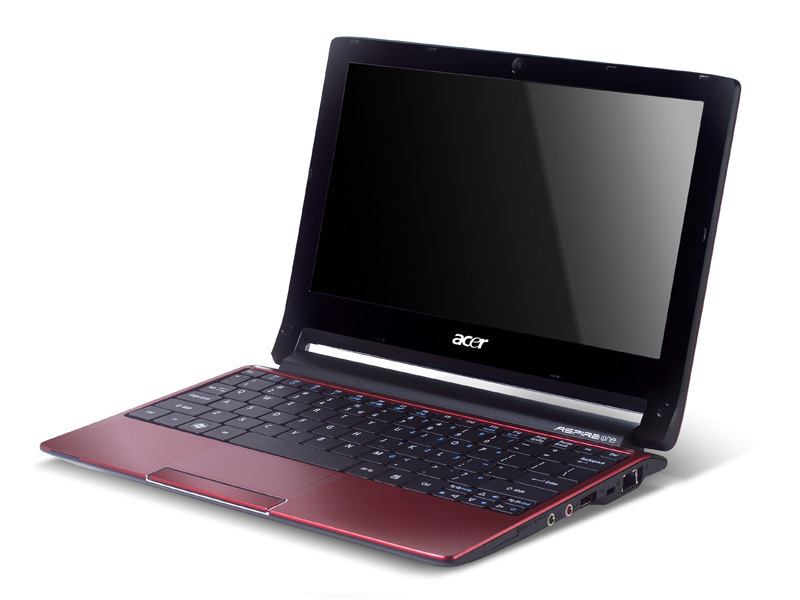 The options that Acer offers, among them a 10.1 inch HD display or a 2 GB DDR3 RAM, for example, sound interesting. 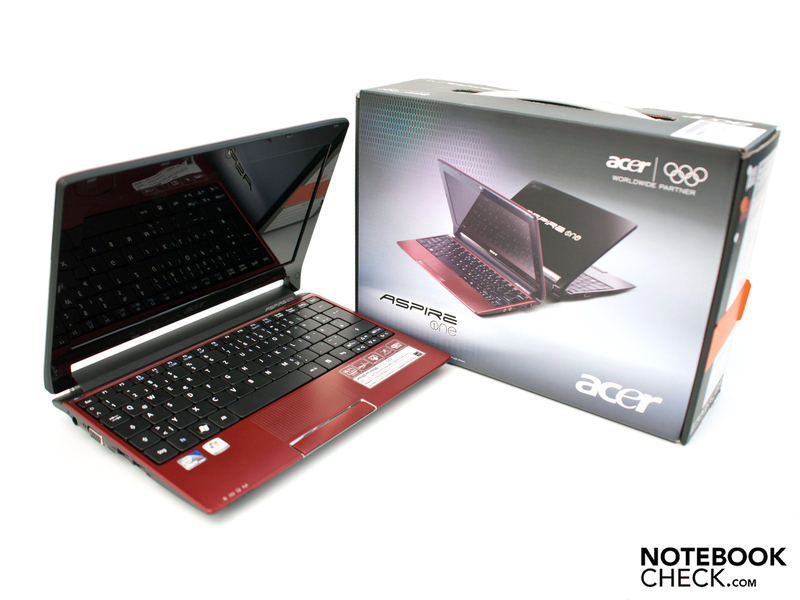 The Acer Aspire One 533 is now available for 329 euro (RRP, including VAT) in Daytona Red, Sonoma Black and Indy White. Acer introduces a very chic netbook with its Aspire One 533 that catches attention with colored case parts and chrome trimmings. We took the red 533-13Drr for the test, whose dark red finish (Daytona Red) looks very modern but not to invasive. 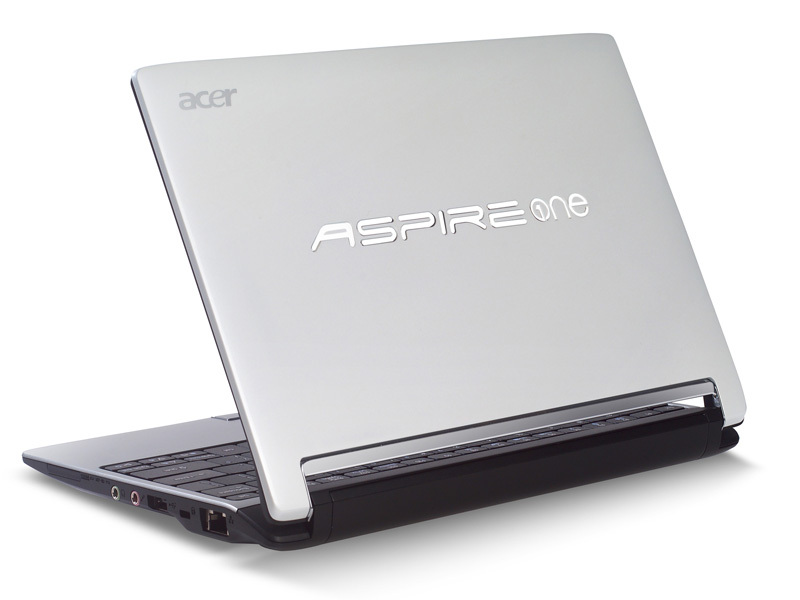 The display lid has been given a large "Aspire One" logo, aside from a high-gloss finish. 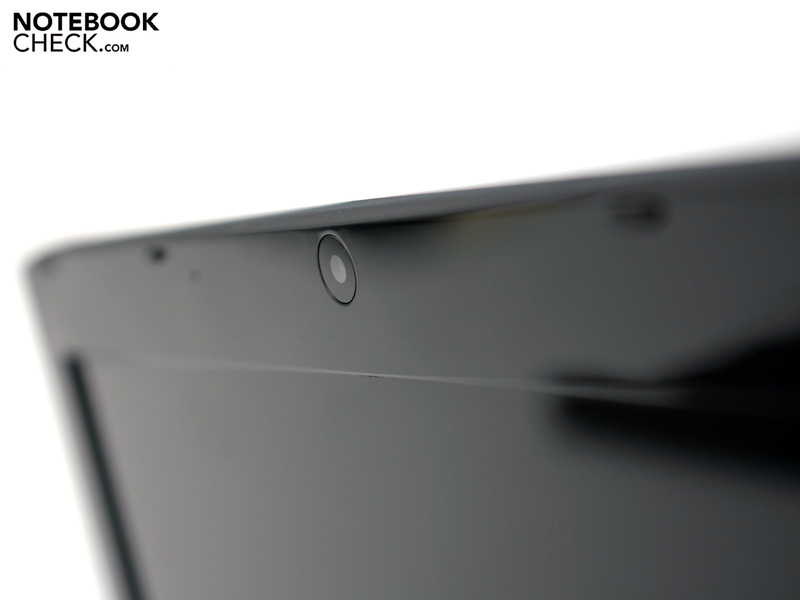 The area around the keyboard impresses with a matt finish, whereas the display bezel has a high-gloss coating. Unusual, but very pleasant, is the elevated display. Another benefit of this construction is the wide opening angle with a maximum of 170 degrees. The combination of red and black looks overall very elegant and simple at the same time. Acer naturally has the device available in other colors to meet the taste of every user. Daytona Red is joined by Sonoma Black and Indy White. The colors aren't subject to a surcharge. The case is made of plastic and makes a good impression. The workmanship and finish is high-end and no manufacturing flaws or uneven gaps can be found. The display bezel is very slim, but has a good stability. The screen can only be twisted slightly despite its thin construction. The display hinges hold the desired position well, whereby we noticed a teetering. The case's lower half has to be held when the display's lid is opened due to the slim construction. Our test device weighs 1.23 kilograms, including the 6 cell battery at a size of 25.9 x 18.7 x 2.57 - 2.72 centimeters (w x d x h). Those figures are within a green zone for a 10 inch netbook and aren't unusual. The included adapter only weighs 185 grams. The adapter's connector system is congenial, as various adapters for other countries can be used. However, only the plug for the German power grid is included in our scope of delivery. 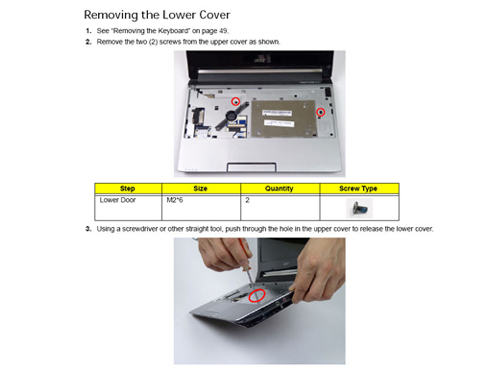 Only the well-known interfaces of a netbook of this price category with one exception are found on the device's sides. A VGA port and two USB 2.0 connections have been placed on the left, adjacent to the power socket. Here are also three small openings for the warm waste air, which seem to be too small. 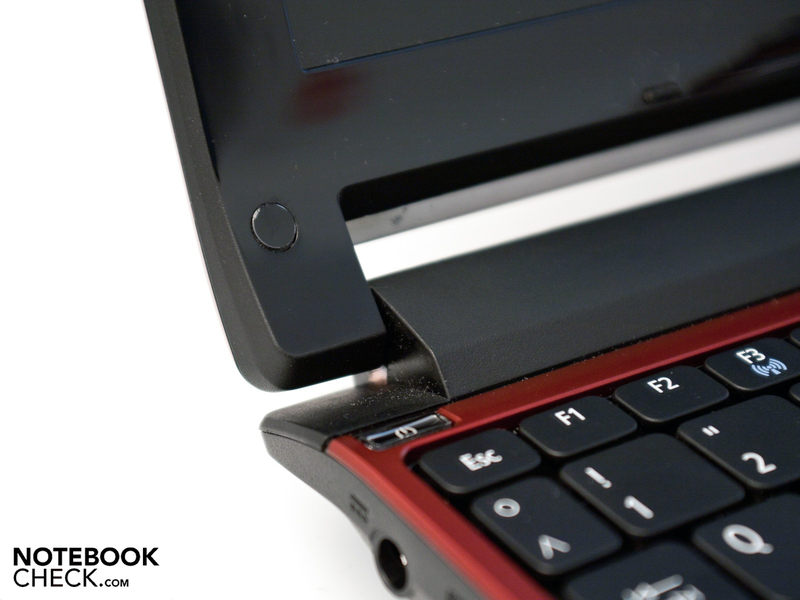 On the netbook's right, there is another USB port, the audio sockets (headphone-out, microphone-in), a Kensington Lock and the only surprise: a multi-in-1 cardreader. Aside from the known formats, SD, SDHC and MMC, it also reads and writes xD, MS and MS PRO. The front and rear don't have any interfaces at all. Merely both stereo loudspeakers, respectively the 6 cell battery with a capacity of 49 Wh are found. Acer has done a good job with the interface distribution. 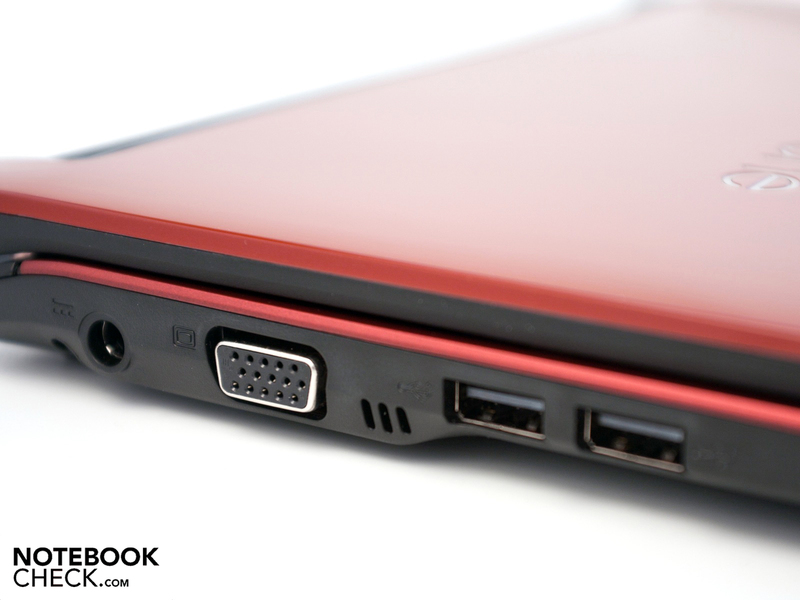 However, both USB ports on the left have been placed very tight to each other. The circumference is sufficient and, except for the cardreader, there isn't anything special. Options like USB 3.0 and eSATA would have been interesting, but they aren't available. Acer bids very extensive communication possibilities and the options are convincing. Aside from a Gigabit Ethernet (Atheros AR8151), there is WLAN 802.11 b/g/n (Atheros AR5B95) and the latest Bluetooth 3.0 +HS controller. There is also an unoccupied Mini PCI Express slot inside our model (but without antenna socket). The scope of delivery only includes the most necessary for immediate use. 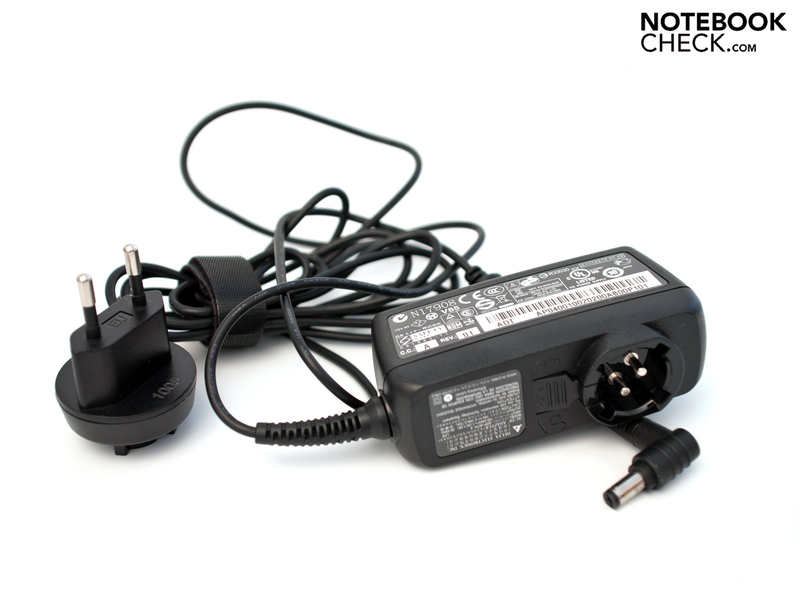 Beside the netbook, the matching adapter with a German plug, a few manuals, a warranty card, the 6 cell battery with 49 Wh and additionally a small cleaning cloth are found. 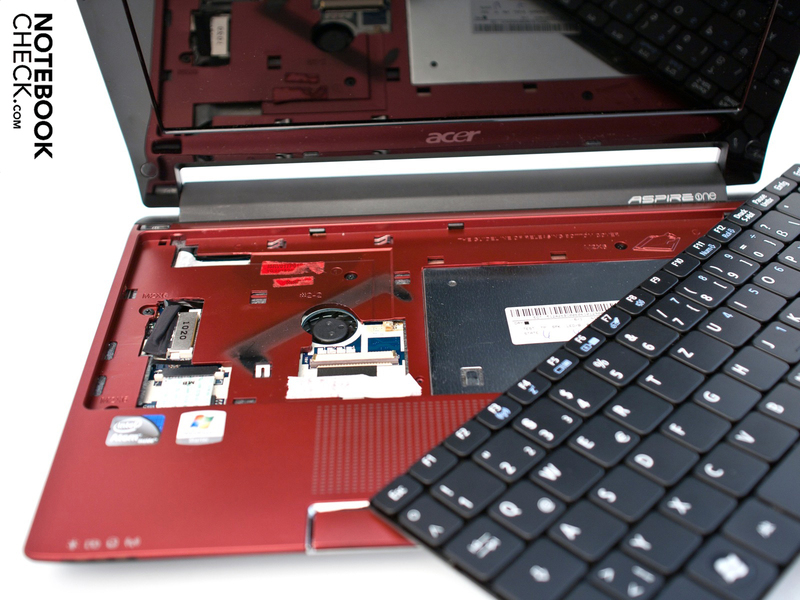 Acer optionally offers various supplies and hardware. The list includes a 500 GB hard disk, a 2 GB DDR2 RAM, a 10.1 inch HD display, a USB hard disk and drive and a larger 6 cell battery with 5600 mAh, which is supposed to make up to 10 hours of battery life possible. 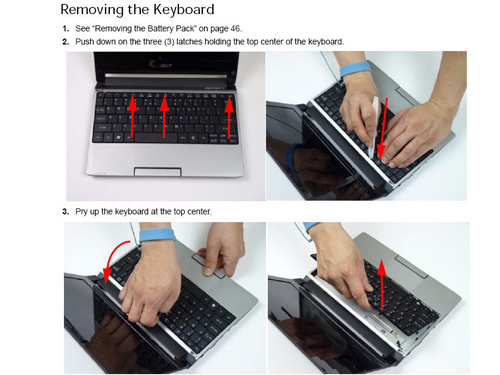 Acer distances itself from the often used chiclet keyboard and relies on its own FineTip keyboard that has proven itself in various Acer devices. The keys are detached and mostly have a 16x16 millimeter size. A drawback of this construction is its susceptibility to dirt particles that could collect underneath the keys. The stroke length is pleasant and the pressure point is crisp. The ergonomics are agreeable due to these traits and the large right shift key, whereas the arrow keys have turned out very small. The layout has been adapted to the German standard and the single Fn functions are highlighted in a chic light blue and are clearly visible. The touchpad has been integrated elegantly into the wrist-rest and is marked by a pattern consisting of small lines. The size is very pleasant with a diagonal of 7.8 centimeters and the haptics of the patterned surface is convincing. A separate, vertical scroll bar has been placed on the right, which is a nice addition to the touchpad's supported multi-touch gestures. The driver software from the company "Alps" has numerous setting options and is also easy to use. Fortunately, the mouse keys below the touchpad have turned out quite large and also bid a pleasant touch. Our test device is equipped with a glossy 10.1 inch screen (display: LP101WSA-TLN1) and has a native resolution of 1024x600 pixels, whereas a higher interpolated resolution isn't available. 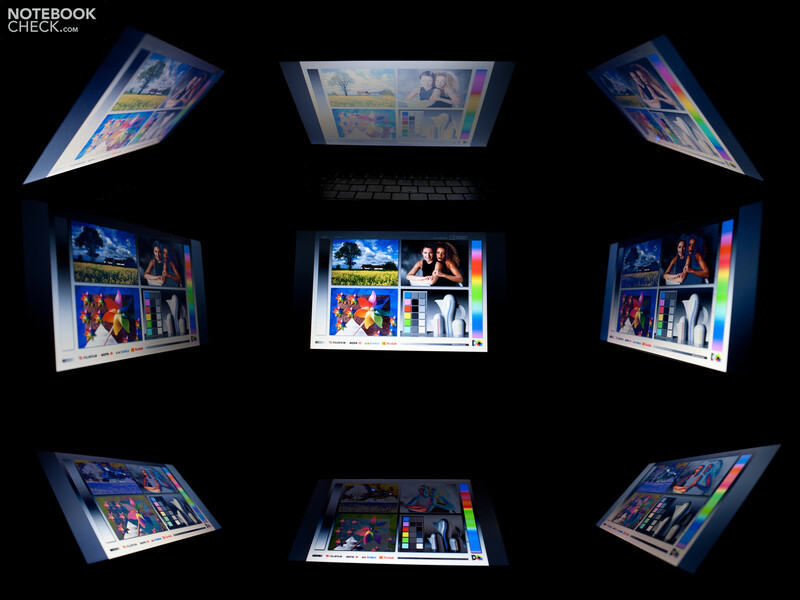 The image is presented in a 16:9 format at a diagonal of 25.6 centimeters. Acer offers a 10.1 inch HD display for better ergonomics. It has a resolution of 1366x768 pixels. More content can be displayed with the higher resolution and the need for superfluous scrolling is reduced. 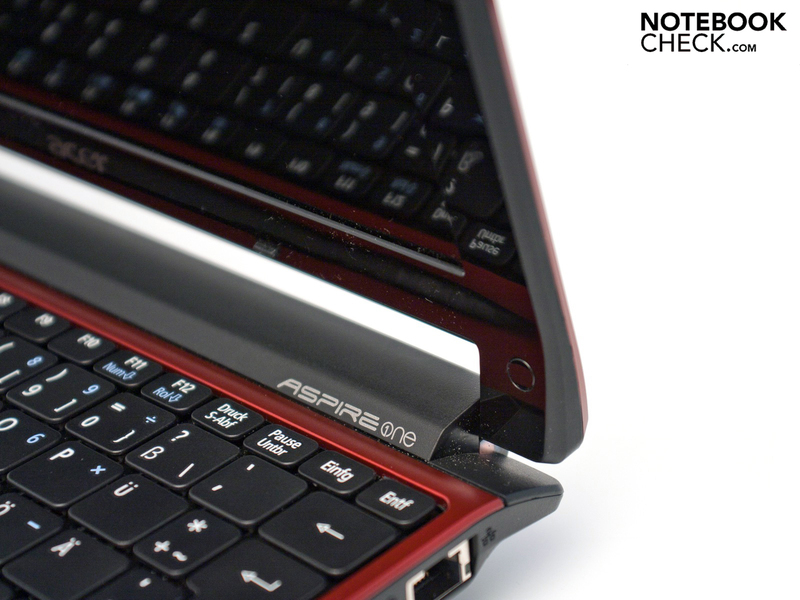 A matt screen is not in Acer's portfolio for this device. The displayed picture is presented illuminated evenly and bright due to the current LED backlight and a brightness fluctuation doesn't occur. The illumination of 90% is very good, and the integrated screen also has a good brightness with a maximum brightness of 244 cd/m2. 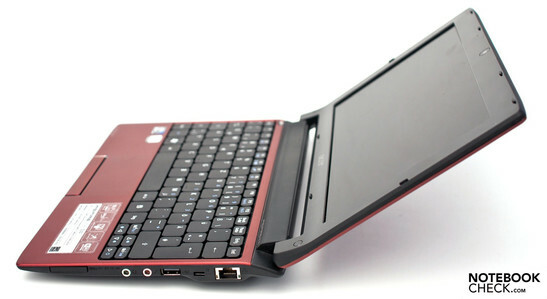 The latest models from ASUS, however, have a superior screen (ASUS Eee PC 1015P, ASUS Eee PC R101). The average brightness of almost 230 cd/m2 is within a green zone, but it's not over average. A small drawback is the low contrast of 172:1, which results due to an increased black value. The displayed image appears very pleasant and focused despite the low contrast. Overall, the starter-display's rates are in the wide midrange of netbook screens. We would have also been pleased about a matt alternative, since it would probably have scored better outdoors. The glossy surface and average rates don't usually supply the perfect requirements for pleasant outdoor working. Regrettably, the presumption is confirmed and intense sunlight, or rather direct sunlight, causes problems. The image becomes unrecognizable fairly quick, making work almost impossible. Indirect light sources are a problem, but working is possible with restrictions. The viewing angle stability can be rated as "good" on the horizontal plane, whereby the image is displayed focused and without color falsification up to 160 degrees. The vertical stability isn't anything special and a deviation of a few degrees from the ideal position are enough to cause problems with representation. The image quickly looks like a negative because the colors are falsified. 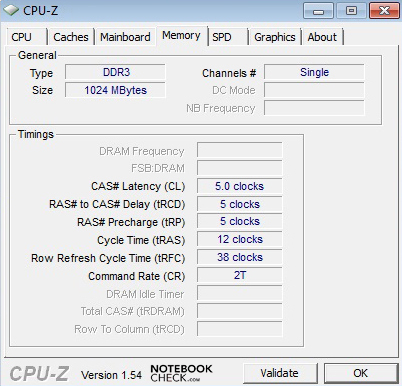 DDR3 RAMs are now finding their way into the newer netbooks and Intel supplies the matching processor. 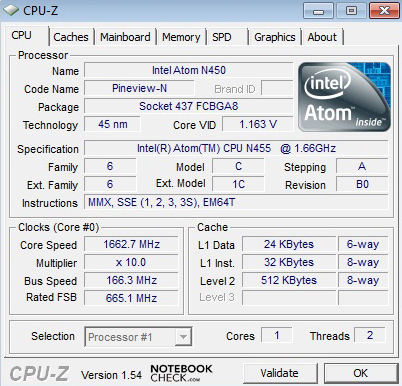 The Intel Atom N455 differs to the Intel Atom N450 only by DDR3 RAM support. The processor doesn't have a significantly higher performance because the clock rate of 1.66 GHz has been kept. Only stronger Atom processors bid a performance boost, as for example the Intel Atom N475 (1.86 GHz, single-core) or the N500 (1.5 GHz, dual-core). Familiar hardware is inside, beside the processor. 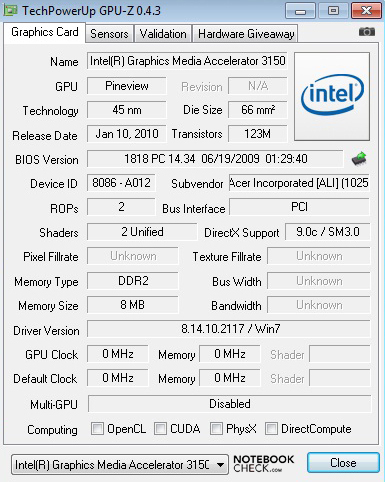 The Intel Intel GMA 3150, integrated in the processor, is responsible for the graphics. Other configuration elements are a 1 GB DDR3 RAM (133 MHz) from Samsung and a 250 GB hard disk memory from Western Digital. This configuration, together with Microsoft Windows 7 Starter (32 bit), promises a moderate performance that won't stand out from the mass. 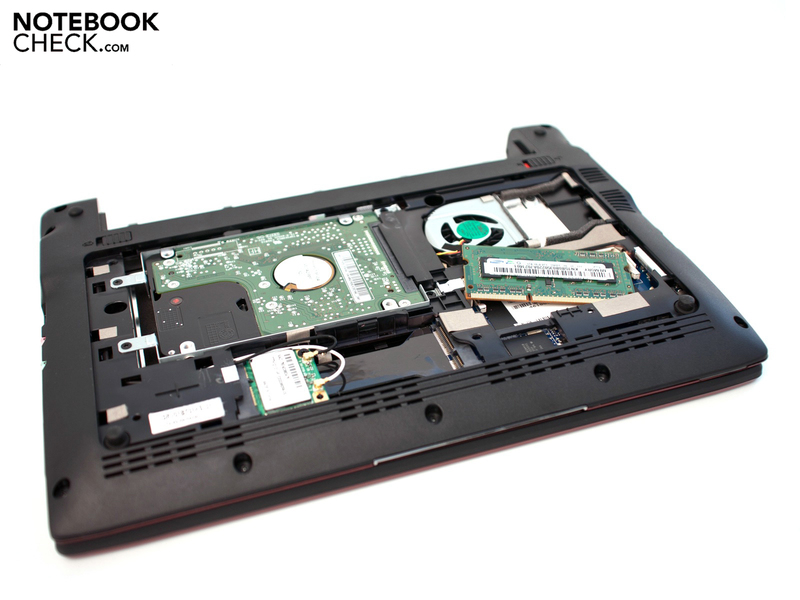 System information: Acer Aspire One 533-13Drr. 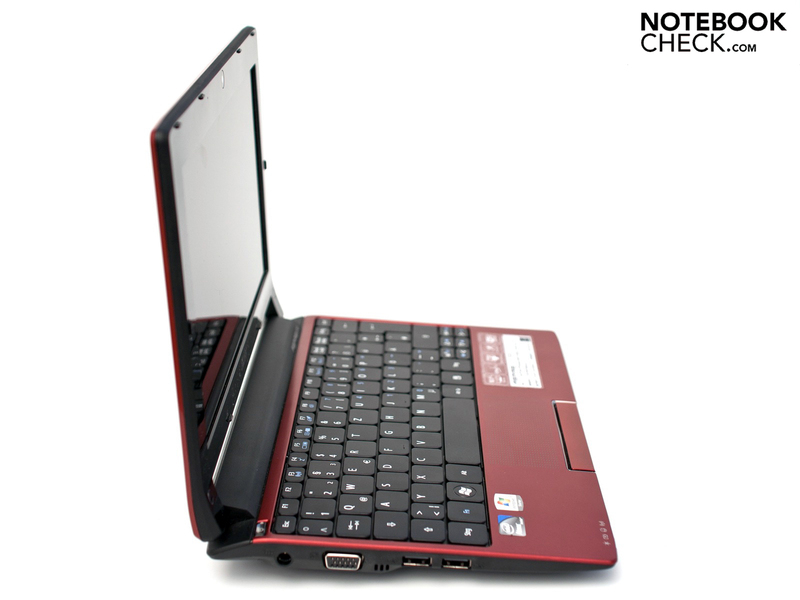 In order to evaluate the system's performance, we sent the netbook through various benchmarks. 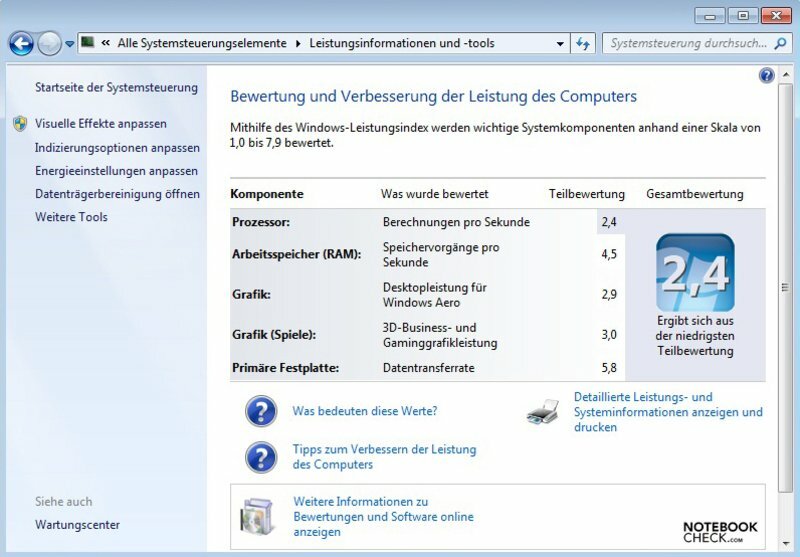 Windows 7's high performance profile is activated in all tests, whereas the clock rate is continuously at 1.66 GHz. 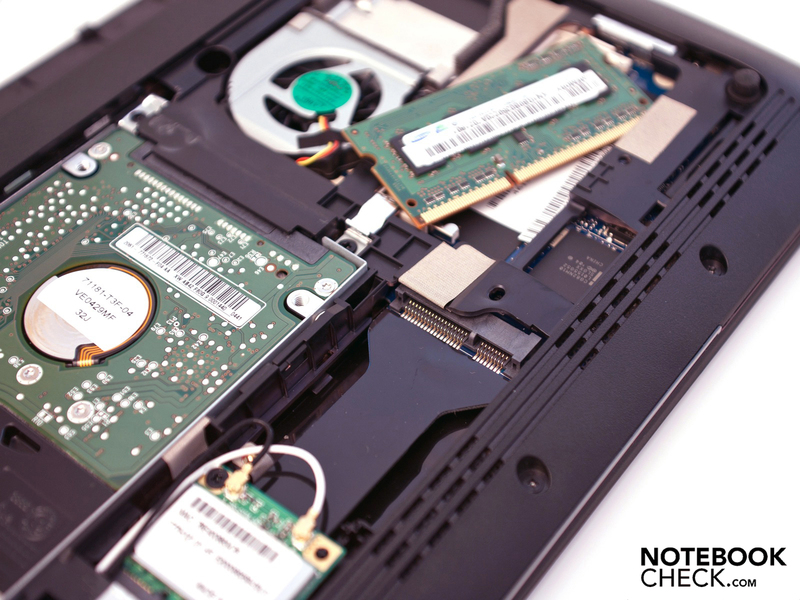 We'll clarify if the new Intel Atom N455 offers a performance leap in comparison to its predecessor in this part. 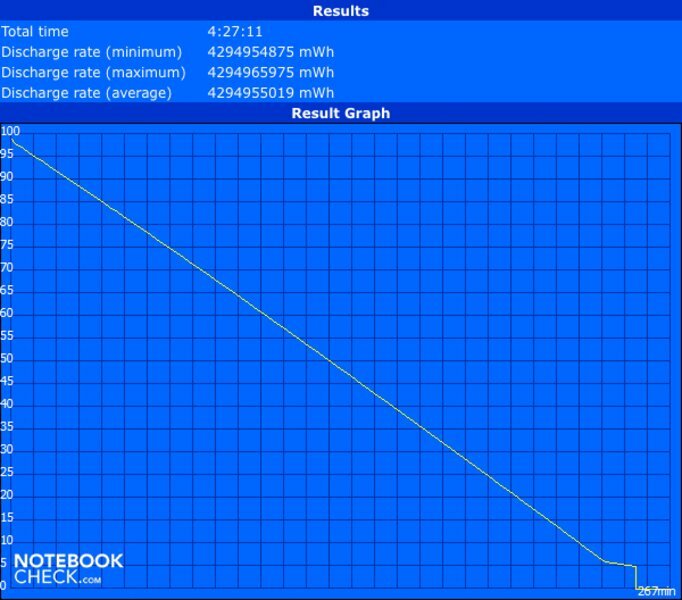 Acer Aspire One 533's application performance hasn't increased with the Intel Atom N455 and a performance boost isn't evident. PCMark Vantage confirms this with 1160 points, whereas the difference to the older Atom N450 is only very slim. 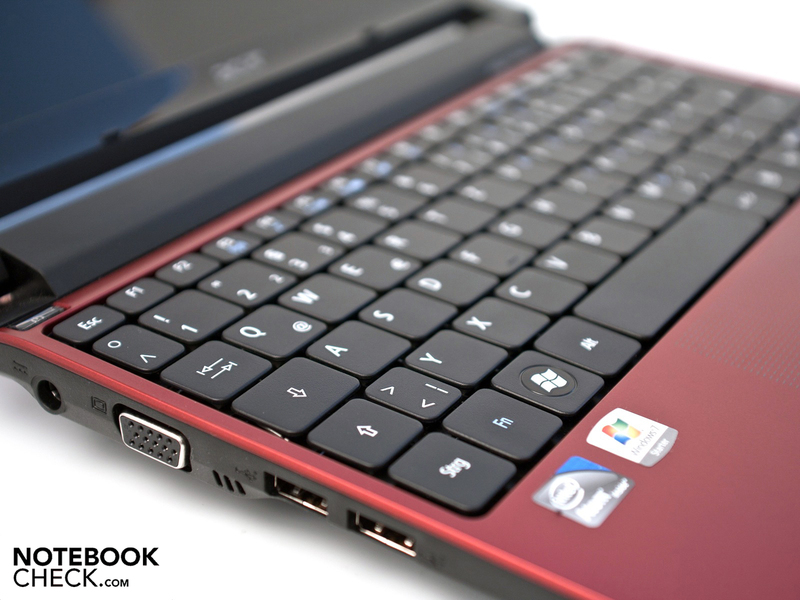 The Sony VAIO VPC-M11M1E/W or the new ASUS Eee PC 1015P, with Intel's Atom N450 processor is on this level. The subjective performance is only average because it takes a relatively long time until a window is displayed and the whole system makes a sluggish appearance. We would recommend an upgrade to a 2 GB DDR3 RAM for a better application performance due to these rates. Futuremark 3DMark benchmarks only show a minor 3D performance and gaming ambition have to be throttled. Our test device remains behind current devices with Intel's Atom N940 with 89 points in the 3DMark 06 benchmark. 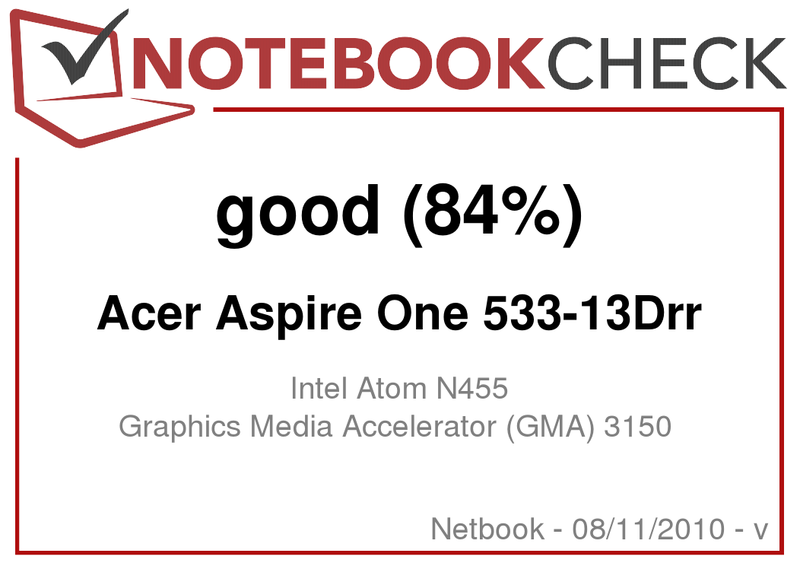 Unfortunately, only very old netbooks with a GMA 950 graphic unit are on the level of Acer's Aspire One 533. Thus, you'll have to give up current games and small games can only be played in a low resolution. 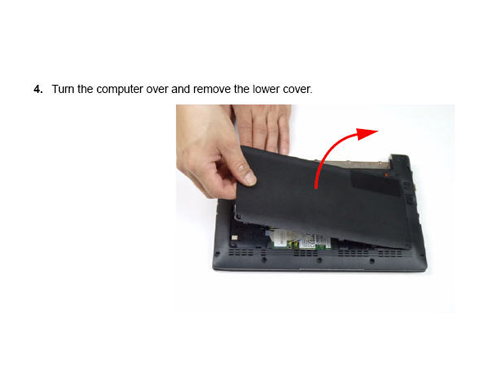 Replacing RAM and hard disk is very tedious in our test device and there aren't any instructions to be found in the manual, either. We found an illustration on this subject, whereas no liability will be assumed for any damage. When you've found your way via the keyboard, exchange is easy. 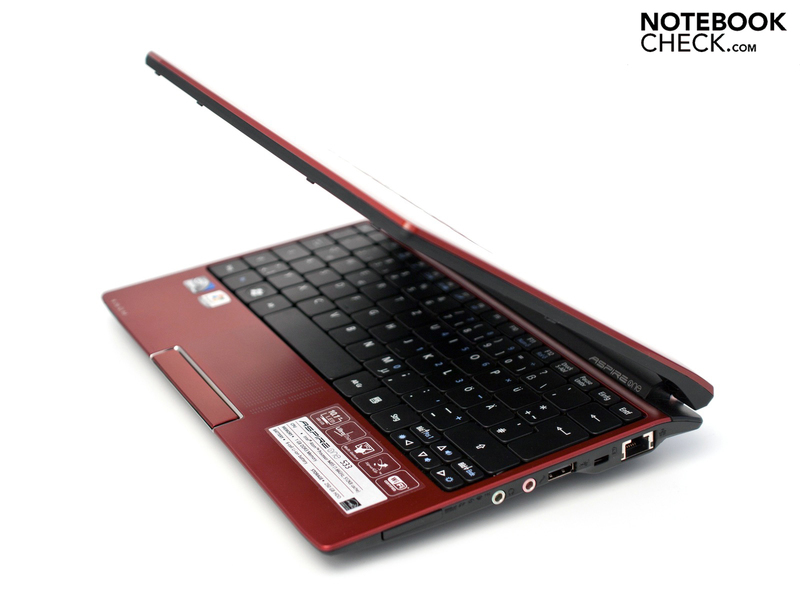 The netbook is equipped with a 250 GB hard disk (WD2500BEVT-22A23) from Western Digital ex-factory. 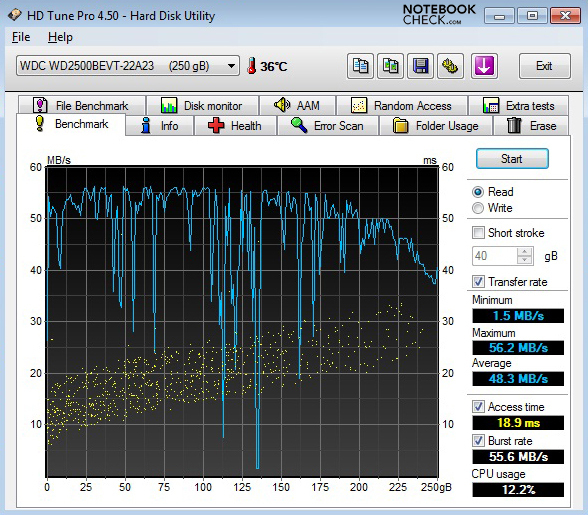 The performance in the HDTune Pro Benchmark is only average and a faster drive would be recommendable if value is put on a better performance. 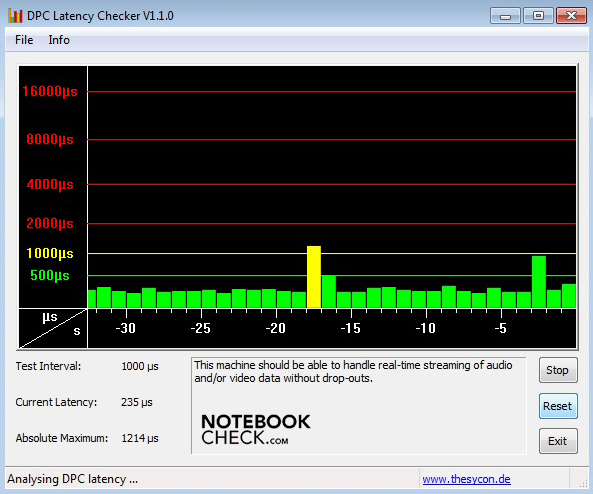 The "DPC Latency Checker" analyses the latencies under Windows 7 Starter. We stopped the check after a few minutes because the rates didn't show any reason for complaint. Problems with peripheral devices can turn up when the rates move within the red area. 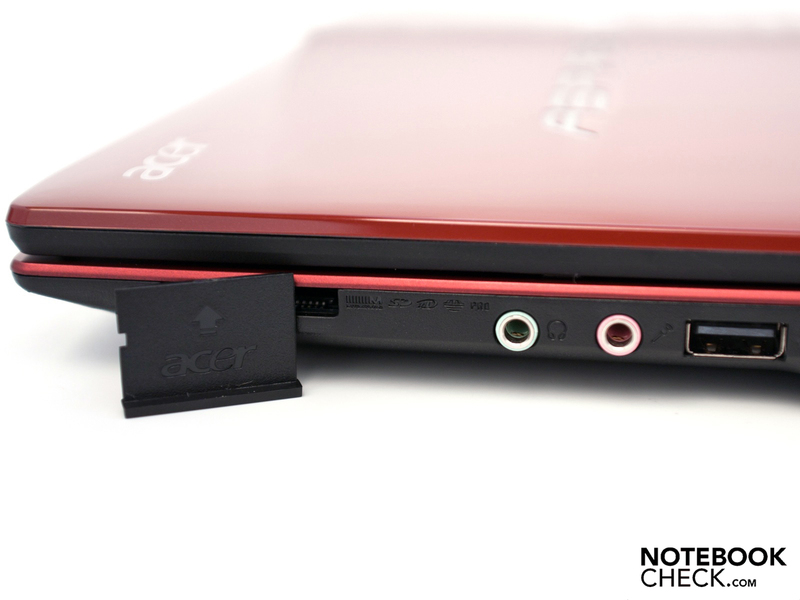 A very frequent problem is sound crackling with external sound cards. A small fan and cooler, besides a good cooling, also promise low noise pollution. 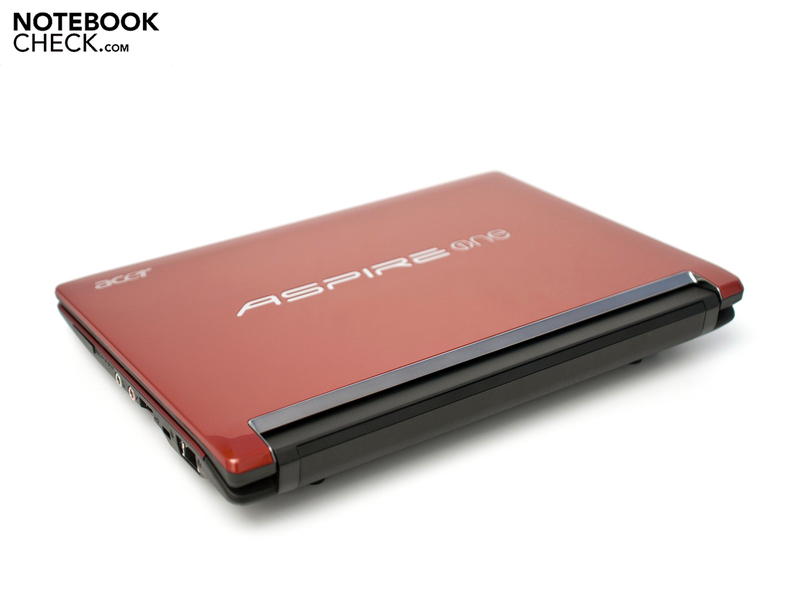 The Aspire netbook develops between 29.8 and 20.4 dB(A) in normal mode, whereas the integrated hard disk does its job quietly at a consistent 30.1 dB(A). These rates increase to a maximum of 34.1 dB(A) under load. Basically, working with the netbook is very pleasant and doesn't attract negative attention. The integrated cooling system does its job well and efficiently. The temperature rates are still within a green zone with a maximum of 34.6 dB(A) in normal mode, whereby it's downright striking that this rate develops in the opening for the warm waste air. These vents are unfortunately very small and the warm air can't be dispersed. As a result the air is trapped. This problem is also evident under load because the maximum temperature increases to 41.6 degrees Celsius in this case. (+) The maximum temperature on the upper side is 32.1 °C / 90 F, compared to the average of 33 °C / 91 F, ranging from 21.6 to 53.2 °C for the class Netbook. (+) In idle usage, the average temperature for the upper side is 29.8 °C / 86 F, compared to the device average of 29.8 °C / 86 F.
(-) The average temperature of the palmrest area of similar devices was 29.3 °C / 84.7 F (-2.8 °C / -5.1 F). 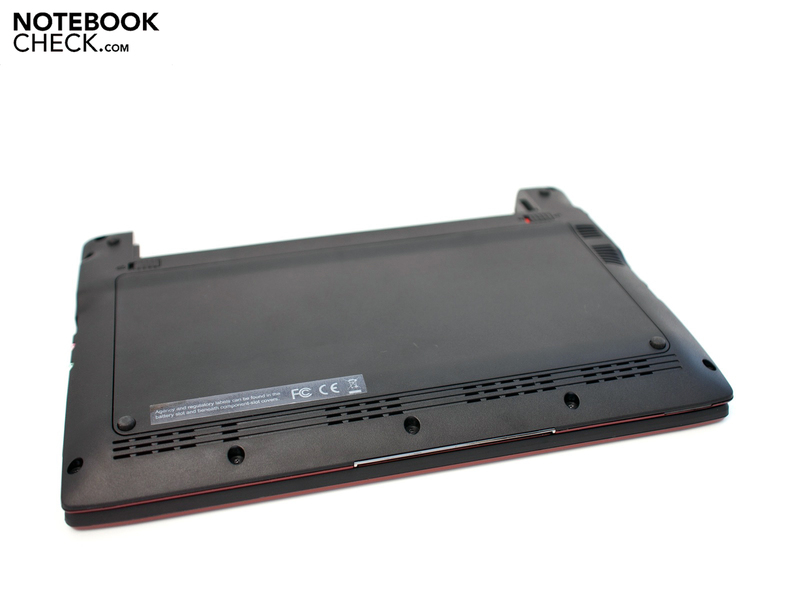 The Acer Aspire One 533's loudspeakers are located on the case's front bottom. The sound spectrum, as so often, isn't fully developed and lacks bass reproduction. The trebles are acceptable and rendering radio shows or podcasts is possible. The device has a 3.5 millimeter jack for headphones or an external sound system for a superior sound quality. 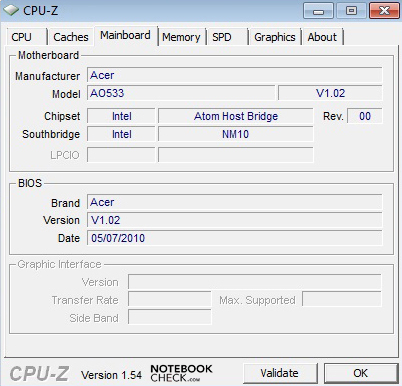 The latest Intel Atom N455 belongs to the low-energy netbook processors, although the TDP has increased a bit. In comparison to Atom N450, which consumes a maximum of 5.5 watts, the N455's power consumption is 6.5 watts. This difference is marginal, but ultimately has an impact on the battery life. Our test device needs between 4.8 and 9.0 watts in normal mode. These rates increase to a maximum of 13.6 watts under load. The power consumption in standby, respectively in a turned off state, don't give reason for complaint and the entire consumption rates correspond to this configuration. 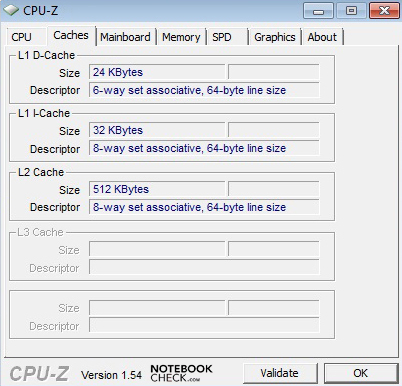 The "Classic" test of the little tool, BatteryEater", determines the minimum runtime under load. The OpenGL evaluation is executed under Windows 7's high-performance profile, and the processor works with 1.66 GHz. Additionally, the display's maximum brightness and the WLAN module are enabled. The battery is drained after a good 4 hours and 27 minutes and the mains are needed again. A battery runtime of 5 hours and 49 minutes are possible in normal daily use with an enabled WLAN module. We used a good display brightness in this scenario that allows pleasant working. The battery life under minimum load and display brightness can be determined with the "Reader's" test. This test simulates reading a text document, whereby the rate usually comes very close to the marketing information. The maximum runtime is reached after 7 hours and 4 minutes. 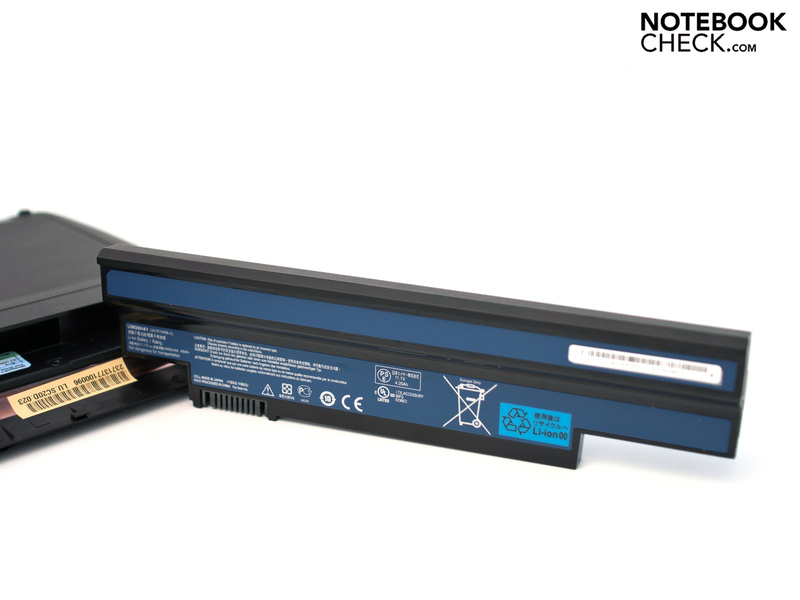 Our test device is standardly equipped with a common 6 cell battery (49 Wh, 4400 mAh) by Acer. A bigger battery with 5600 mAh (6 cells) is available for longer battery runtimes. However it is liable to surcharge. 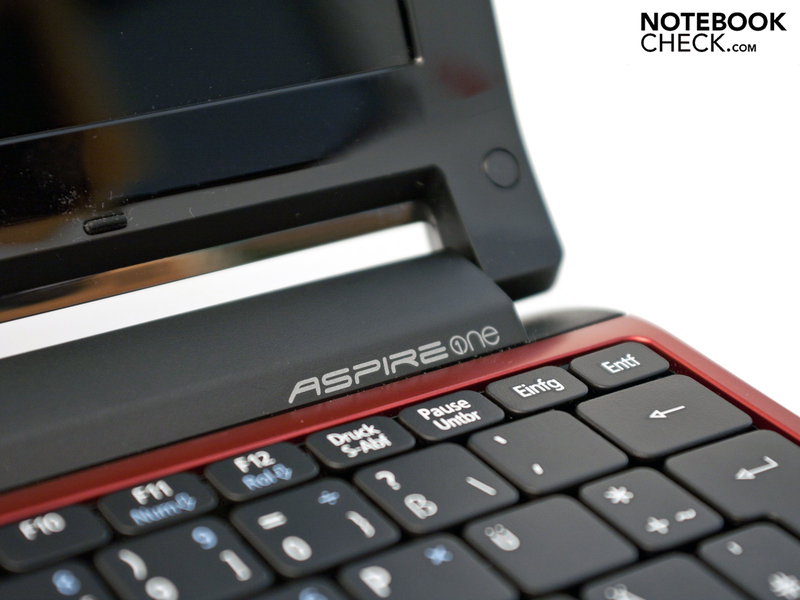 The Aspire One 533 (533-13drr) from Acer left us with a good impression. However, its performance with a 1 GB DDR3 RAM doesn't impress us. The workmanship and veneer, along with the modern design, is impressive. However, Acer makes upgrading very complicated. The ergonomics are convincing with a large touchpad, the generous Acer FineTip keyboard and a slightly elevated display. The mobile technologies are state-of-the-art and the unoccupied Mini PCI Express slot bids the user additional options. The connectivity isn't anything special and we didn't see a performance boost with the latest Intel Atom N455 processor. Another drawback is the slightly higher power consumption and thus resulting battery runtimes. With a maximum of 7 hours and 4 minutes, the device can't prevail against current models from ASUS with a 6 cell battery. Conclusively, you get a very elegant netbook for frequent typists that generally convinces, but which also has a few weaknesses, for 329 euro (RRP). The device is now available in Daytona Red, Sonoma Black and Indy White. 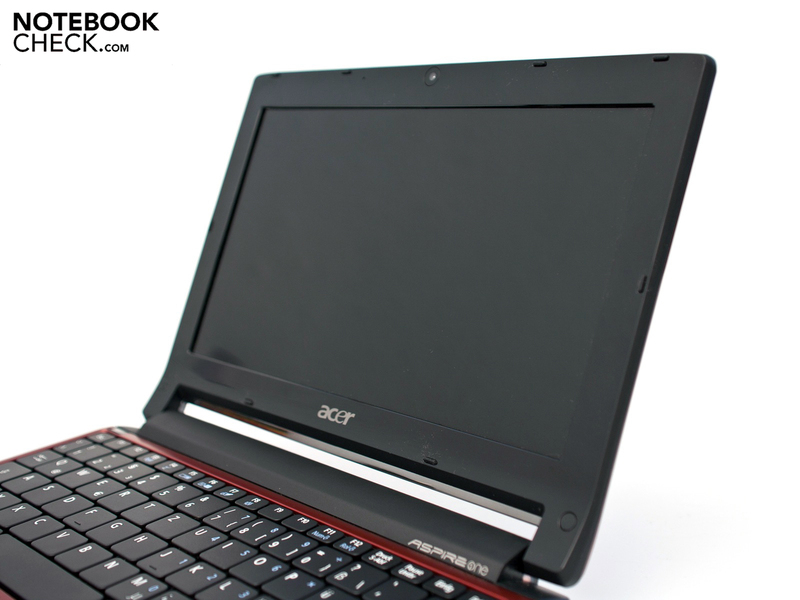 Chic 10 inch netbook from Acer without a performance boost but nice features. 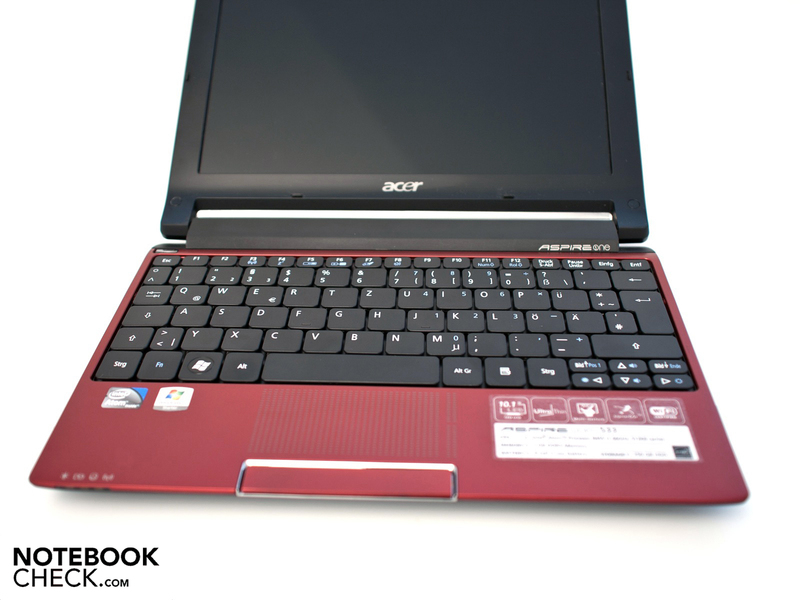 In Review: Acer Aspire One 533-13Drr. 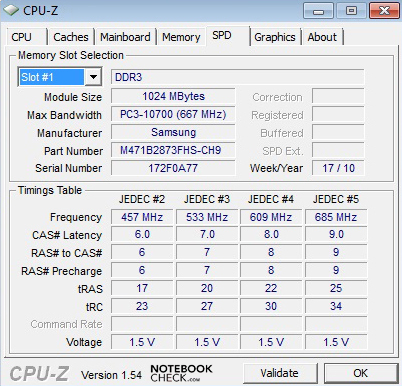 The Acer Aspire 533 now supports DDR3 RAMs due to Intel Atom N455. ... large keys and a generous layout. A 1.3 megapixel webcam for video telephony shouldn't be left out. A large maintenance cover without screws? ... isn't explained in the user's manual. An unoccupied Mini PCI Express slot is found beside the RAM and hard disk. A large 6 cell battery promises a long battery life. WLAN 802.11n and Bluetooth 3.0 +HS open possibilities. The multi-in-1 cardreader is a nice feature that is pleasing. Our test device is available in three colors and costs 329 (RRP). ... and the colors impress us. Chrome elements set accents. The elevated screen is an eye-catcher and makes the design unmistakable. Good workmanship and a large opening angle are convincing. The case has a lot of lettering. The display hinges have a good grip despite the small construction size. The connectivity, as usual, isn't very extensive. Handy adapter with exchangeable plugs for various countries. 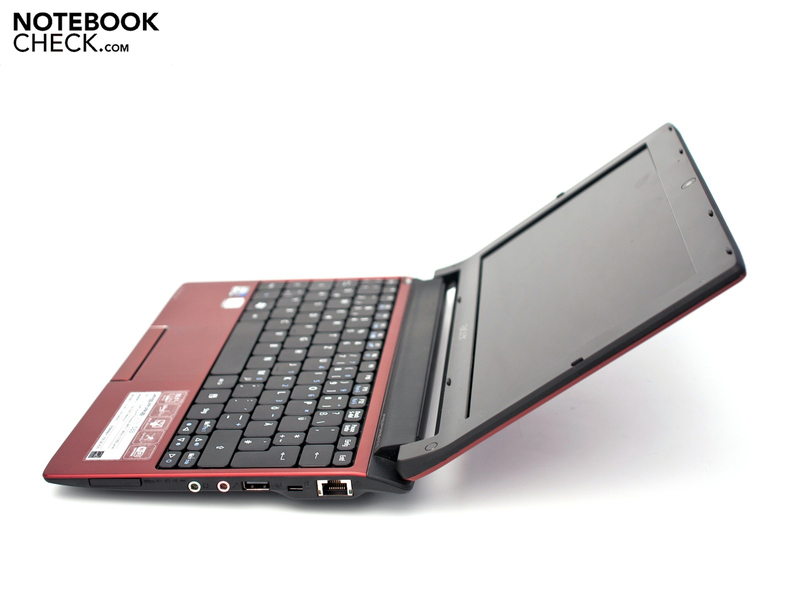 The modern design in chic color variations, the good workmanship, the unoccupied Mini PCI Express slot and the good ergonomics (keyboard, touchpad, display positioning). A good office performance under Windows 7, a 2 GB RAM, an optional matt display and easier hardware extendability. The outstanding ergonomics, the elevated display, the simple design in three colors and a fast DDR3-10600 RAM. Various netbooks with an Intel Atom N450/N455 and 10.1 inch display. 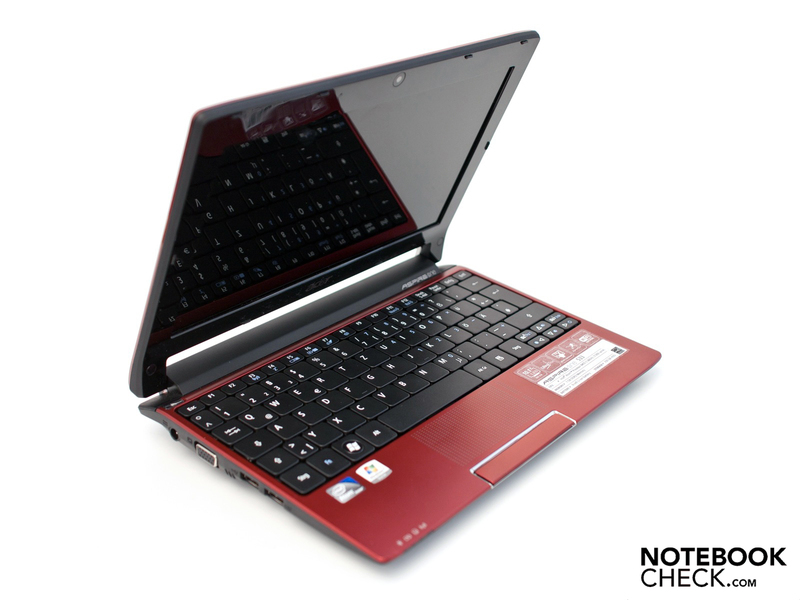 For example, amongst others, the ASUS Eee PC 1015P, the ASUS Eee PC R101, the Samsung NP-N230 Strom Netbook or the Lenovo IdeaPad S10-3.